(LOUISVILLE, Ky.) – Electric vehicle drivers and enthusiasts who travel across Kentucky have more reasons to celebrate with more charging infrastructure installed in the state. 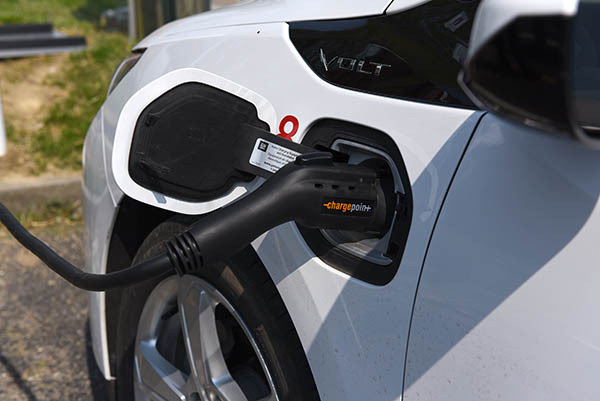 Three new, publicly-accessible EV charging stations are now in operation as part of Louisville Gas and Electric Company and Kentucky Utilities Company’s EV Charging Station Program. The new charging stations are located on the campus of Morehead State University in Morehead, in the City Hall parking lot in downtown Richmond and at LG&E Center on Main Street in downtown Louisville. Not only are the facilities significant because of the enhanced accessibility they’re providing for EV drivers, they’re also powering LG&E and KU’s program to its goal, approved by the Kentucky Public Service Commission in 2016, of installing a total of 20 publicly-accessible charging stations across its service territories, with 10 in each. The utilities’ public charging stations are located as noted in the chart below. All of the stations are equipped with safety features, which include charging plugs that lock in the stand when not in use. They also have digital display screens and quick-pay options for a low effort customer experience. While its public locations are now in place, LG&E and KU’s EV Charging Station Program also offers interested eligible customers – including businesses, community entities and parking authorities – the opportunity to host their own electric vehicle charging stations in partnership with LG&E and KU. These stations would be available for public or private use based on the discretion of the hosting authority. LG&E and KU continue to explore ways to support customer interest in EVs and related technology. The utilities meet regularly with state and local government agencies and other organizations as part of ongoing collaboration and feedback on the issues. Check out more information on LG&E and KU’s program, electric vehicles and charging stations on the LG&E and KU website. For further information: call the media line at 502-627-4999.